How to Curl Hair With a Flat Iron. Bless the person who invented the flat iron. Previously, those of us with curly hair had to suffer through straight hair trends, laboring hours to straighten out unruly tresses only to achieve a fluffy mess. Now the formerly frizzy can easily reach super-smooth status. But a flat iron can also curl your hair. 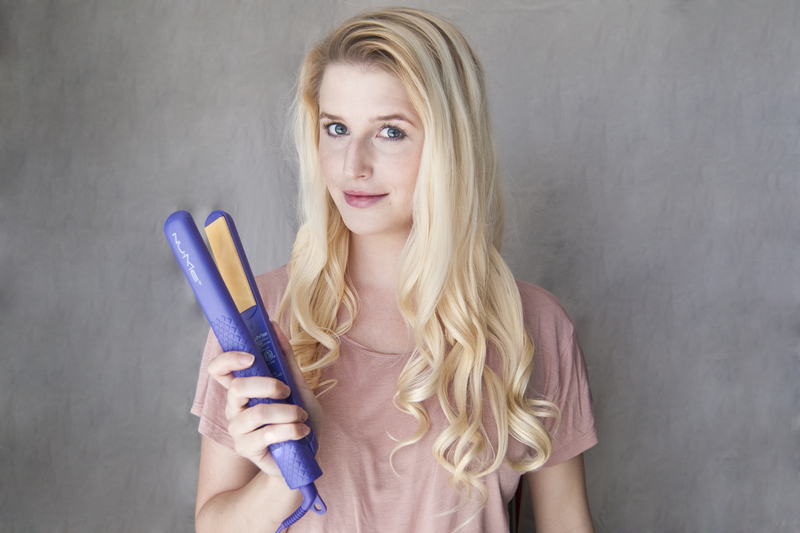 Yes, the exact same tool you’ve been using as a straightener does double duty to create gorgeous, bouncy curls. Choose the right flat iron. You need a skinny one; an inch-and-a half or less is best. If your hair is very coarse or curly, the flat iron needs to get very hot, at least 400 degrees Fahrenheit. Look for a flat iron with rounded edges on the plates to prevent unnatural “dents” in your hair. Step 2:Apply a light gel that contains a heat protector to prevent hair damage. Step 3:Dry hair completely. Even slightly damp hair will not curl as well, and a good blowout gives you a smooth start for frizz-free curls. Step 4:Clamp a 1- to 2-inch section of hair about halfway through the strand and turn the flat iron one-and-a-half turns in the direction you want your curl. Step 5:Pull the flat iron through the strand while maintaining tension on the curl. Step 6:Repeat on small sections of hair until it’s all curled. Don’t worry-the more you do it, the faster you’ll get. Step 7:Spray with hairspray to make your curls last longer. Use aerosol hairspray to avoid overwetting you curls. Spray underneath, too.